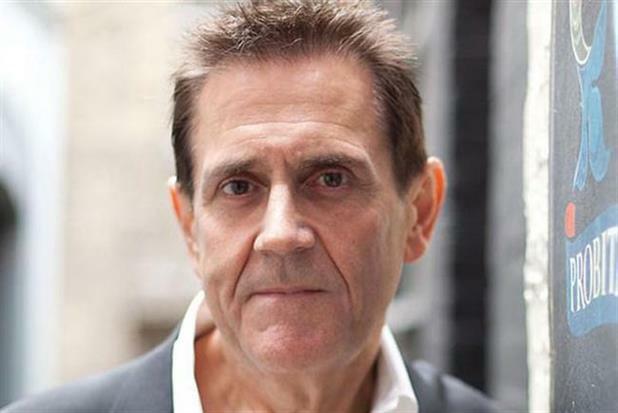 An excellent piece written by Dave Trott appeared in Campaign today. The article asks the question “what do you use for fuel; what motivates you to perform in your career?” The example was taken from Peter Mead, of AMV fame in UK advertising. In his biography Peter Mead talks about his first job. He was sixteen, he’d just left school with two ‘O’ level GCSEs. He was applying for a job as a dispatch boy. What Americans call a ‘gofer’: “Go fer this”, “Go fer that”. Peter had two interviews: one was at the massive agency, J Walter Thompson. It was incredibly snooty, only the poshest people were employed there. Peter was interviewed by a secretary in the ‘personnel dept’. Like JWT, she was posh: elegant high heels, two piece oufit, pearls. Her accent was cut glass. As she talked, it became apparent there was a huge gap between the people who worked ‘above stairs’ who would be seen by clients. And the lower orders, the ‘below stairs’ people who handled the daily running of the building. Cleaners, doormen, van drivers, tea ladies, and dispatch boys. She informed Peter that he would be starting at three pounds ten shillings a week (£3.50). But what burned into Peter’s memory was when he asked where he would eat. She said “There is a staff canteen of course, but you won’t be able to eat there on your wages. However, you can take your sandwiches into Berkeley Square and eat them there”. Peter didn’t like being treated as a member of the lower classes, so he didn’t take the job at JWT. He took the job at the other agency instead. He worked his way from the dispatch department to a job in account handling, and gradually worked his way up from there. Eventually he opened his own advertising agency. Eventually he persuaded David Abbott to join him. Eventually Abbott Mead Vickers became one of London’s best agencies. Finally, becoming the biggest agency in the country, bigger than everyone, including JWT. Peter says that on that day he got his wife to make him sandwiches. He popped them into a Tupperware box. Then he went to Berkeley Square and sat on his own, on a bench overlooking J Walter Thompson. And he ate his sandwiches. Exactly where that posh secretary had told him all those years ago that he’d have to eat his sandwiches. Because people like him couldn’t afford to eat in the JWT staff canteen. It reminded me of something Gary Neville said. Gary Neville had an incredible record as a defender for Manchester United and England. He won the Premiership eight times, the FA Cup three times, the League Cup twice, the Community Shield twice, The Champions League twice, the Intercontinental Cup, and the Club World Cup. An interviewer asked him where he found the energy and desire to perform consistently at that level. Gary Neville said “Indignation is a great source of energy”. He knew he needed to locate that before every game. Find something that courses through your veins. A source of energy you can turn on when everyone else says it’s time to quit. Something that gives you an unfair advantage. A bench where one day you’re going to sit and eat your sandwiches.